Matei Ioachimescu was born in Bucharest, Romania and 20 years later he moved to the charming City of Vienna. 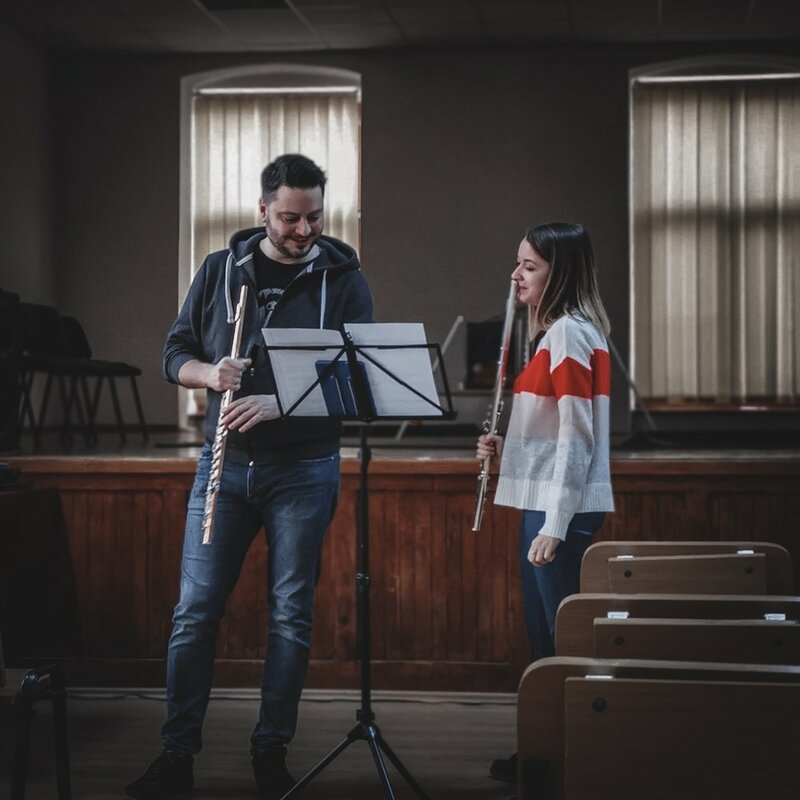 Searching for an instrument to go on, I was captivated by the magical impact of the flute sound on the listener’s soul and since then I was studying this capricious instrument in Vienna, with professor Barbara Gisler, at the Music University. There I graduated with a Master of Arts degree. Professors like Pierre-Yves Artaud, Heidi Peter Indermühle or Ion Bogdan Stefanescu helped me a lot in my development. I used to listen to James Galways’s recordings, now I don’t anymore. I prefer Jimi Hendrix and Pink Floyd and Cecilia Bartoli. I never wanted to be something or someone else, though I did some other jobs, like selling concert tickets on the street (were I absolutely failed), or bar-keeping (even worse). 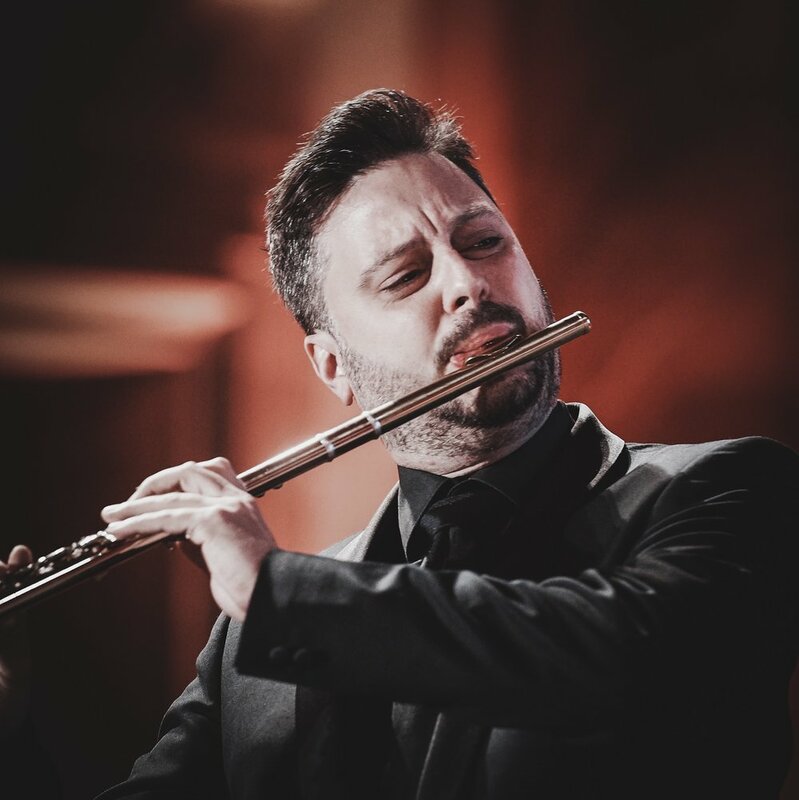 I got serious about playing flute and became the solo flutist of the Bucharest Philharmonic Orchestra, which I quit after 8 years for bigger challenges: solo career and living a freelance artist life. Now I travel the world playing music I love, from baroque to contemporary and cross-over. Lately, you might have heard about my project called La Vida Loca, or about my album together with pianist Catalina Butcaru called “Lumière”, or even about my performances of Kalevi Aho’s flute concerto. I play music I like, with musicians I like, for the audience I adore. I teach masterclasses in different countries. I love what I do and that makes me very good at what I do. That’s why the Austrian Secretary of State named me “Ambassador of Integration”. And I love sushi. Thanks for reading! I hope to see you all at the next concert! One of the few moments of relaxation in my home town by choosing, before the start of the LA VIDA LOCA Tour. A fantastic program, a great journey in front of us! First stop of LA VIDA LOCA Tour in Poland, at the Podlasie Opera and Philharmonic of Bialystok, on March 23th! We go crazy! Thrilled to announce a new LA VIDA LOCA Tour together with pianist Alfredo Ovalles! 23.3 Bialystok, 25.3 Tallinn, 30.3 Vienna, 5.4 Bucharest, 10.4 Oradea. Welcoming CSRTV (Chinese TV Chanel) in Vienna, with an extended interview about music, flutes and manufacturers. Coffee before scales. Good morning everyone! Happy faces after 9 days of intense work! Irina Naneș discovering the music of Doina Rotaru. “Be like reed” kind of stuff, plus very aware young teacher and dedicated pianist. And some Papanași. And flutists that got so much better over this days! Lots of happy faces. So much fun and privilege to play with those younger fantastic musicians! Flute Masterclass in Deva, Transylvania, day 3. We all got so much better and also the first signs of exhaustion. Flute Masterclass in Deva, Transylvania, day 2. Flute Masterclass in Transylvania, day 1! New #lavidalocaproject is cooking! Vienna, Tallinn, Bucharest, among other cities are welcoming brand new arrangements and compositions with enormous level of fun! Short visit to Café Central, before the Ball. Looking forward to the upcoming Masterclass at the Flute Academy in Deva! Opening concert on February 3th! Matei Ioachimescu and Cătălina Butcaru share a deep understanding of classical music, while their visions meet on the territory of musical originality and phantasy. 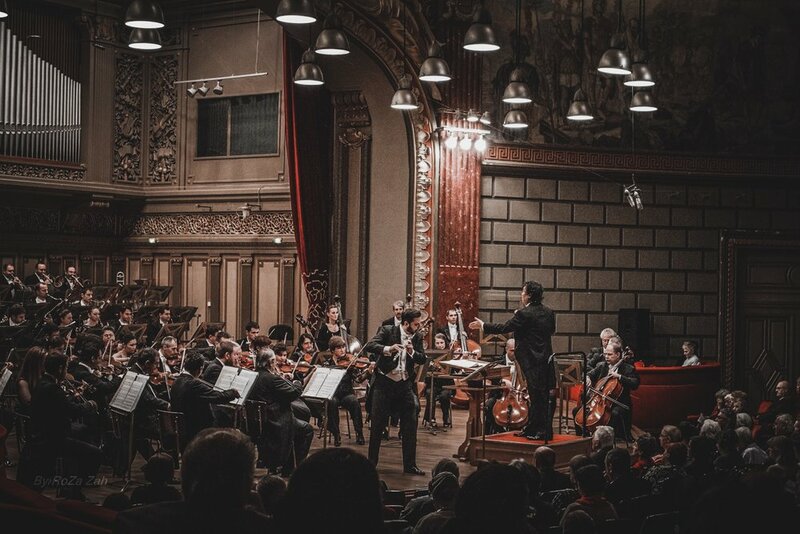 The extraordinary musical symbiosis that brings them together has its origins in a long-standing collaboration and countless concerts and recitals, unanimously praised by critics and audience. The two artists bring the lights of Paris closer to the listener in an exceptional recording distinguished by refined and original interpretations. ©Matei Ioachimescu 2019. All rights reserved.